Authors: Duiseyeva G.O., Berkimbaev K.M. This article deals with the definition and the description of mobile learning. Ten years’ experience of the latest mobile technologies use and devices in educational process abroad is analyzed. Prospects and the possibilities of application of these technologies are considered. The basic concepts and development of mobile learning which proposed by scientists for the last years have been given. Mobile Technologies, Mobile Learning, Mobile Learning Systems. Learning by means of mobile devices, the most advanced type of education. It doesn’t demand stay in the concrete place in concrete time. You can study in any place at any time. You can develop the learning schedule. Education by means of mobile devices helps the person with development of the most various skills, especially with humanitarian and information sphere. Also education by means of mobile technologies provides new learning methods, trainings and teaching. Education by means of mobile technologies is innovative distance learning. It is break in education development. All users of mobile devices and everywhere can be learned by means of mobile technologies (adults and children, pupils and students, houses and on the street). The environment at mobile learning differs from traditional. It is such individual room with Internet connection which is constantly moving in virtual space.Grid-services and education by means of mobile devices became popular thanks to their opportunities today. Both of these approaches became necessary in modern life. They suit our fast way of life inseparably linked with access, receiving and use of information.To give an exact and complete definition of the term “mobile learning” it is necessary to consider sources of an origin of this phenomenon. In our opinion, formation of mobile training is inseparably linked with development of electronic learning. In 2005, the English scientists of J. Traxler and A.Kukulska-Hulme so described emergence of mobile learning: “… in Great Britain, in the majority of the countries of Europe and North America mobile learning has appeared in the scientific communities studying electronic learning.The special international platform for experience exchange in mobile learning sphere has been over the last 10 years created. The International Association of Mobile Learning holds annual international conferences, such as mLearn and IADIS Mobile Learning. MLearn is the main annual event of the world scientific community of mobile education. This prestigious conference has for the first time taken place as: “European Mobile and Contextual Educational Seminar” in university of Birmingham in 2002. The MLearn conference already took place in London (2003), Rome (2004), Cape Town (2005), Banff (2006), Melbourne (2007), Telford (2008), Orlando (2009), Malta (2010) and Beijing(2011).The following 11th World Conference on Mobile and Contextual Learning had held in Helsinki (2012). IADIS at the moment is the International Association on Development of Information Society (http://www.iadis.org/). This noncommercial scientific association, which purpose is studying of technological developments in the person interaction field the with the computer. The first conference of Mobile Training IADIS has taken place in Aura (2005), then in Dublin (2006), Lisbon (2007), Algarva (2008), Barcelona (2009), Porto (2010), Avila (2012) and Berlin (2012). The following International Conference of Mobile Training IADIS was took place in Lisbon (2013).For example, J. Traxler offers idea that mobile training is the training provided or supported only or mainly due to portable and mobile technologies, such as the pocket personal computers (PPC), smartphones, or wireless laptops. These definitions the limiting, techno focused are also attached to the current technological development. ButTraxler also tries to investigate other definitions - for example as mobile training differs from other forms of education, especially from other forms of electronic training. Electronic training which was usually carried out “just in case” can be carried out “precisely in time now”, “it is enough for me” and “only for me”.For each student nature of “mobility” has set of connotations, and they will designate idea of mobile education. It can mean education during travel, driving, sitting, or walk; it can be “hands-free” (hands aren’t involved) or “eyes-free” (eyes aren’t involved) learning. These interpretation influence realization and therefore mobile learning definition.The Russian scientist I.M. Valiyev studies degree of psychological dependence of students (economic specialties) on mobile phones use in higher education institution. The author claims that most of students actively use mobile communication that can serve as good condition for introduction of mobile learning . The scientist Y. Rudova considers in the work problems of increase of students motivation in process of English learning. At the same time the author points to importance of innovative tools use, such as interactive boards and mobile phones for increase of motivation.Scientists I.N. Golitsyna and N.L. Polovnikova in the researches consider current trends of mobile learning development in education. Authors note that, despite of wide circulation of mobile phones among students, mobile learning is poorly widespread in educational institutions. 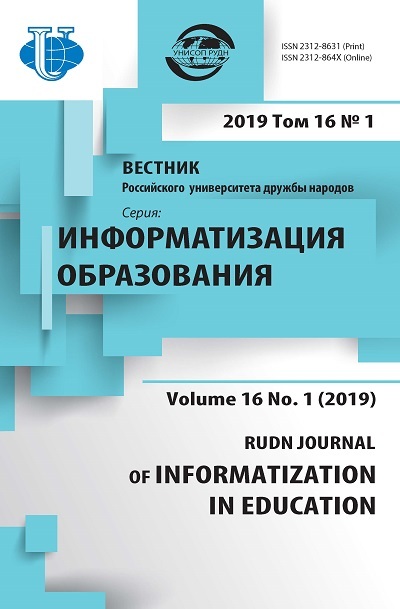 I. Golitsyna and N. Polovnikova have analyzed technical and psychological readiness of the Russian students for use of mobile technologies in learning. Authors have come to conclusion that they most of modern Russian students as technically, and psychologically ready to use of mobile technologies in education.We have to establish the fact that mobile phones use in the Kazakhstan higher education developed not so intensively as in other countries of the world. Only in 2011 for the first time problems of development of mobile learning in Kazakhstan have been considered at the International scientific and practical conference “Remote Technologies in Education” organized by the Ministry of Education and Science. Also at the beginning of 2011 the first commercial service of mobile learning in our country has been entered.Mobile learning - education in conditions when the pupil has mobile access to educational resources, can interact with the teacher and other pupils. The most fully mobile providing is presented in the concept of education “1 pupil: 1 computer”. Aspiration to creation of modern educational means in the spirit of the electronic education concept“1 pupil: 1 computer” is observed around the world. The environment of electronic education is an educational space in which there is a formation at children of qualities and abilities, such as media literacy, critical thinking, ability to the solution of creative tasks, ability to think globally, readiness to work in team and civil consciousness - everything that is so necessary for the modern person.In the educational model “1 pupil: 1 computer” information technologies are used for creation of the environment in which communication of the pupil with the computer happens “in private”. The concept “1 pupil: 1 computer” means use of specially developed computer - the laptop which pupils and teachers can use also at school and at home. Existence of the Internet is desirable, but not obligatory component of this training model.Authors of article of the Time “How to Bring Up the School Student of 21 Centuries” magazine consider that the latest computer technologies, such as multimedia means and network services, and also the content of education corresponding to them which development will allow school students to have adaptation in life and work in the conditions of global economies are necessary for creation of the modern educational environment. Environment of electronic learning “1 pupil: 1 computer”, including the multimedia lessons, modern methods of education and knowledge presented in digital format can become for the child the whole world filled with new opportunities.Mobile learning:free movement;chance to study physically disabled people;doesn’t demand acquisition of the personal computer and paper educational literature, i.e. it is economically justified;educational materials easily extend between users thanks to modern wireless technologies (to WAP, GPRS, EDGE, Bluetooth, Wi-Fi);at mobile learning multimedia content is used, that is information is provided in various forms: text, graphic, sound. Material is acquired and remembered better, raises interest to education.Basic objectives of introduction of model “1 pupil: 1 computer” are:improvement in ensuring equality of access to ICT;education improvement of quality;introduction and support of the best practicing of integration of ICT into learning;improvement of development by pupils of educational material;introduction in educational process of such eductional technologies, as the forming estimation and the differentiated training;increase in indicators on delivery of the standardized tests;improvement of pupils abilities to continuous training during life;learning of pupils for work in the modern world;communication improvement school-family-schoolEnvironment of electronic learning of the pupil. This environment includes specially developed computer (as a rule, the laptop) for each pupil, and also the software which allows expanding his educational opportunities (to help with outside preparation, development of the multimedia presentations, etc.) and to learn to use the computer. In autonomous model of electronic learning pupils use the laptops which aren’t connected to network. Though the isolated model has no all advantages of the integrated educationalenvironment, at the same time, allows pupils to work on tasks, to be engaged in creativity and to master basic information technologies. Besides, pupils can work together and communicate with each other with the help of card flash.Laptop broadband connection of the pupil to the Internet creates for him great opportunities for access to information and interaction implementation. With the help the Internet, browser and standard applications pupil can:to look through and load information for the research activity;to interact with other people by means of e-mail and other technologies;to work on joint projects with schoolmates, teachers and other people;individual learning;to break the language barrier connected with use of traditional methods.Environment of electronic learning of class. In this environment teacher and school students use computers and the software for joint activity which allows increasing quality of educational process. Teachers can use the software allowing providing network interaction between the computer and the computer of each pupil.Environment of electronic learning at school. Electronic learning environment allows to provide access to the general information resources and to improve computer knowledge skills of each pupil. When information technologies are integrated on school environment and applied to use of educational digital resources, they become educational means, but not studying subject. At implementation of the project it is necessary to carry out all possible measures for formation of the environment of electronic learning “1 pupil: 1 computer” at schools and their classes that will allow to motivate and stimulate pupils, and also will allow to create conditions for formation necessary for activity life in the conditions of global economy of qualities. Copyright (c) 2016 Дуйсеева Г.О., Беркимбаев К.М.